The Pentagon may face long-term negative effects by defying Congress to fund construction for a wall along the Mexican border, but Acting Defense Secretary Patrick Shanahan is going ahead with it anyway. The Defense Department notified Congress its intention to transfer $1 billion in funding to go toward building 57 miles of fencing, roads and other measures on the southwestern border. It’s an unprecedented tactic to notify Congress about moving the money around, rather than request the transfer. The decision will likely cost the Pentagon its ability to “reprogram” money in the years ahead, which will hamper its ability to react quickly to military needs. 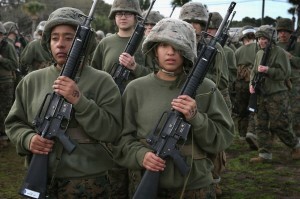 The military is watering down fitness standards because most female recruits can’t meet them. The Obama-era policy of integrating women into ground combat units is a misguided social experiment that threatens military readiness and wastes resources in the service of a political agenda. The next defense secretary should end it. The Military's Top Priority: Global Warming? Is the Iran Deal on the Rhode to Recovery?